Kids learn more about life by observing rather than just studying. They are often more aware of things that we could ever try to be aware of. Those are the best teachable moments with life skills that will get them to their adult years. It is important to include your children in things you may think they don’t understand, especially in matters of business. Today we take a look at a massage therapy business and how it can be that teaching tool to empower your children to achieve their dreams. All massage therapists have to be trained and obtain state licensing in order to operate a business. Often, this looks like a one to two-year endeavor that comes with rewards each step of the way. They notice you taking classes and practicing on family and friends. They question why you put so much energy into this thing that you desire so much. They may even ask you and look skeptical when you show enthusiasm. They hear you complain when things get tough or you are just ready to be done, they wonder some more about why you are “torturing” yourself. Then you graduate and get the licensing. You are jumping up and down for joy and they see how important it was for all that hard work. The rewards don’t stop there. They will see you working hard and growing a business that pays for their doctor appointments and piano lessons. Every step of growth is noted and you should include them so they too can be motivated to chase their own dream. Some parents shy away from telling their children about finances. They don’t want their children to share details of bank accounts or when things get difficult. Really, using your business is a great way to show them what it takes and the best financial practices they can apply themselves when the time comes. For example, if you are shopping for Earthlite massage therapy supplies, allowing them to see how much it costs to run a business is a good thing. Showing them how you budget for those items and showing them how you allocate it into your prices are also good things. A reality check on expenses allows them to understand how it affects the budget and the sales price. You are teaching them a valuable skill on how to create their own successful business! You can also include your children with age-appropriate work that can let them learn more about your business. It may be as simple as going through voicemail or filing some documents somewhere. Maybe they can help keep your massage room neat and tidy or restock some shelves with supplies. When you make them a part of your business, they get to understand so much more by doing rather than reading a book. We do want to stress that it isn’t necessarily about grooming your child to take over your business one day. Their interests might lie somewhere else that is something that can turn into a money-making endeavor later on. 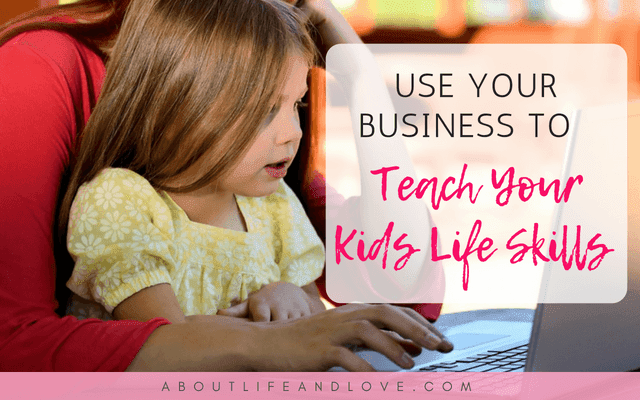 Whether they choose to take on a family business or start their own, it’s the lessons that are valuable in teaching them to be contributing community members. Just think of all the life skills that take place within one little business like massage therapy. They learn financial skills, nurture that entrepreneurial spirit, contributing to their local community, and self-sustaining. These are all important to a well-functioning society and we can’t rely on traditional schools to teach it. You add to their education, without them knowing it, and you have given them more of an upper hand than they will ever realize.